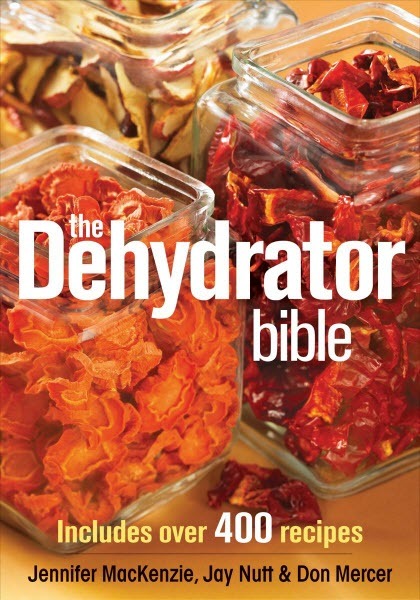 The top name in this list is of The Ultimate Dehydrator Cookbook which is written by three authors i.e. Tammy Gangloff, Steven Gangloff, and September Ferguson. As you know that a food dehydrator is a highly valuable tool which helps in the persistent food storage. This cookbook comprises of all the important things which you can get from your home dehydrator i.e. tips related to the selection of a food dehydrator, proper hygiene, dehydration techniques and storage methods. There are around 400 dehydrator recipes in this book which also include the particular chapter for the meals of campers and backpackers. The authors of this cookbook have explained the process of dehydration in logical and straightforward steps which are not only brief but informative also. The valuable tips stated in the book reflect the experience of the authors. It is one of the comprehensive and user-friendly cookbook for dehydrating food at home. The Cookbook can be used by the both new users or the experienced one. Good for those who are looking for best dehydrator recipe book. It is a superb reference book which includes all the great details (for example dehydration time, do’s and don'ts, etc.). The price is also quite reasonable as compared to the info it provides. One of the main thing which is absent from this brilliant book is the list of resources for equipment and tools. The recipes can be more in number which does not include the ingredients which already dried. There are not sufficient jerky recipes. Some of the information given in the food dehydrator cookbook is repetitive. The Ultimate Dehydrator Cookbook includes 18 chapters which cover every single aspect of food dehydration as well as cooking with the help of dehydrated foods. It is the best book for the people who like to have all the minute details about the food dehydration process before making something innovative. This book will certainly motivate you to think about some useful ideas for sure. This dehydrator cookbook is written by the 3 famous authors i.e. Jennifer Mackenzie, Jay Nutt, and Don Mercer. The drying out of food with the help of this awesome book is stress-free, and the reader can prepare delicious food continuously all over the year. The old age practices and techniques are also kept in mind while writing this book so that complete benefit can be taken out from nature. Besides the tasty recipes, an additional section related to the pet treats and homemade gifts also given. There are more than 150 recipes which use fruits, vegetables and meat stated in the book and more than 250 recipes which use the dehydrated foods as ingredients. The instructions and the guidelines given are very easy-to-follow which can quickly make a novice user quite comfortable. You will find some valuable charts in this book also that state the ways of handling the dehydration of particular herbs (for example mint, cilantro, parsley), vegetables and fruits (for example citrus fruits, cherries, peaches, pineapple). This book is the best assistant while dehydrating foods. The description given in this book can be little better and informative. There are very fewer pictures provided in this book which is not sufficient for the new user. This book is a complete encyclopedia which is a good source for the dehydrating food recipes. If you are looking for an on-demand reference book than a manual, then this will be a perfect choice for you. This food dehydrator cookbook is written by Jennifer Cornbleet who is also a teacher. It was never so easy to get some delicious servings of vegetables and fruits. But this book has made it possible. There are more than hundred foolproof recipes accompanied by the dinner and lunch menu plans. You can enjoy all the recipes very quickly as there is only need for common ingredients and basic equipment. You can also learn the ways of avoiding health-busters such as white flour, white sugar, and trans-fats through this cookbook. It converts the traditional beloved recipes into healthy treats prepared from all-natural elements. It is a good raw foods cookbook. The instructions given in the book are very clear, well explained and understandable. The recipes are set out quite well i.e. ingredients, yield, variations, equipment, and ideas included for every single recipe. The ingredients which are mention in the recipe are readily obtainable at a maximum number of supermarkets. The easiness of particular recipes is beneficial for the novice users, but it is not useful for the experienced cooks who have experience in this field. 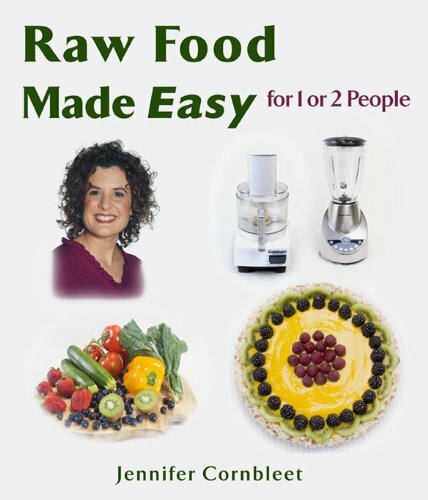 The Raw Food Made Easy for 1 or 2 People includes all the favorite recipes of famous cooking instructor i.e. Jennifer Cornbleet. The recipes are perfect for one or two people. This book also states some valuable time-saving techniques and tips which are very useful for the cook. If you want to make some nutritious and delicious raw food, then this cookbook will be a right choice. The fourth name in this list is of Mary Bell's Complete Dehydrator Cookbook. It is written by the famous author Mary Bell. In this book, the author has provided detailed methods and guidelines for making any recipes from fruit or vegetables. Besides this, certain significant shopping tips for purchasing an electric food dehydrator are also mention. The recipes related to the cooked meals (comprising of sloppy Joes, mushroom soup, moist banana bread and pesto) also make this cookbook a kitchen classic. If you are fond of traveling, then the recipes related to the lightweight filling trail snacks will also be very beneficial. This book is quite a good appetizer cookbook for all the food dehydrators. It guides you that how to use the appliance safely. This book is very informative so that you don’t have to look for any other guidance while cooking. It is a well-written, engaging, practical and appreciated food drying resource. The total experience of so many years of the author is shown beautifully in the book along with the discussions and opinions about the recipes. This dehydrator cookbook is beneficial as a primary coverage for the persons who are not acquainted with the dehydrating process. The instructions are more than the number of recipes. There are no pictures along with the recipes or instructions which make it difficult sometimes to understand that what the author is saying. This book is an extraordinary book which guides you that how to add some delicious homemade snacks like fruit leathers, banana chips, and beef jerkies in the cupboard of your kitchen by replacing the store bought snacks or junk food. It is a strongly recommended cookbook for the people who are considering buying a food dehydrator. This food dehydrator cookbook is written by Mary T. Bell. It is an ultimate food dehydrating resource which includes lots of things for everybody i.e. natural and raw food fans, vegetarians, hunters, gourmet cooks, horticulturists, fishermen, farmers, backpackers, etc. Mary T. Bell has more than 30 years of experience in food drying. This cookbook provides all the useful and straightforward guidelines for drying everything i.e. from sauerkraut to yogurt and also some of the traditional picks like mushrooms, jerky, and bananas. It is one of the great resources which consist of unique concepts. It is amazingly full of color pictures in addition to the simple recipes. The recipes stated in the book look quite good and also easy which does not need oddball ingredients. One of the best thing about this book is that it not only describes the methods and recipes but also allow the reader to use his or her ideas in an innovative way. The recipes given in this food dehydrator cookbook are few. This book is not appropriate for the beginners or the new user. If you are a vegetarian, then this book might not be a good option for you as it is full of jerky and meat recipes mainly. The recipes do not include step by step instructions on food dehydration. All over, the author of this cookbook has given nutritional tips as well as also highlights the time, space, and money-saving assistances of food dehydrating. This food dehydrator cookbook also offers its readers the useful instructions, and also motivates them to make the best use of the book and the dehydrator. The next name in the list is of Trail Food dehydrator cookbook which is written by Alan Kesselheim. It is a great cookbook which guides us to make many recipes with or without an electric food dehydrator. 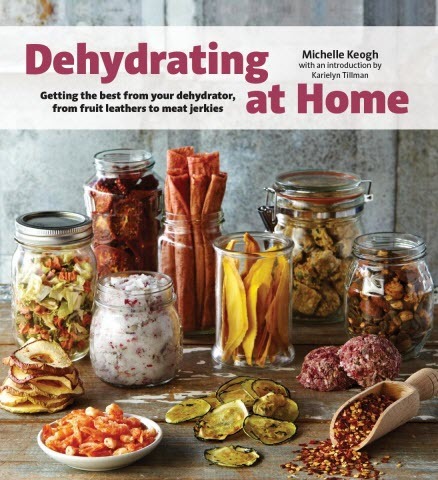 The author has also stated the benefits of drying out the food and also provides some plans for the homemade dehydrator. Besides this, the author also recommends buying a store bought dehydrator owing to its efficiency and convenience. This cookbook has very brief information and it is full of good recipes, information, and ideas. 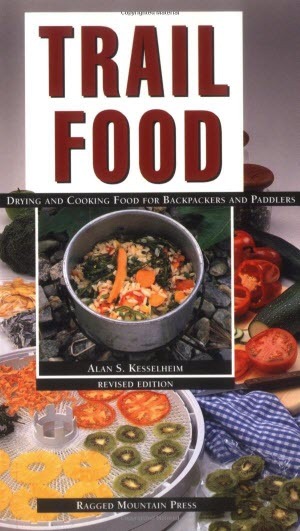 The guidance provided in this cookbook is appropriate for the lightweight backpacker or the mule traveler. One of the best things in this book is the chart showing the dehydrating temperatures and time required for different foods. The chart also displays the protein and the calorie content of the foods. You will also find the plans for constructing your food dehydrator as the DIY. The author mainly discusses the wood fire cooking or slow cooking meals which take a lot of time. It lacks the lightweight and fast cooking meals for the travelers. Some recipes are outdated, and some of them are very difficult to understand at times. This dehydrator recipe cookbook is all about gratifying your food fantasies and evading those costly discontents. This book will appeal to all those people who love to have some healthy food during the traveling and camping. If you are looking for a way to fetch some real food with you, then this book is the best answer to your problem. 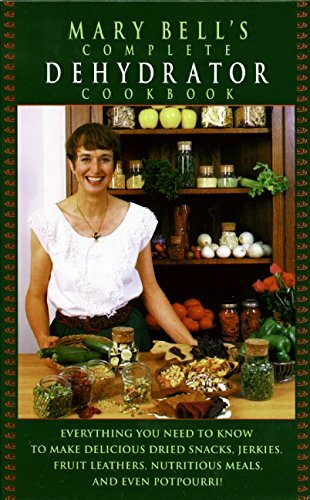 It is one more food dehydrator cookbook written by the famous author Mary Bell. 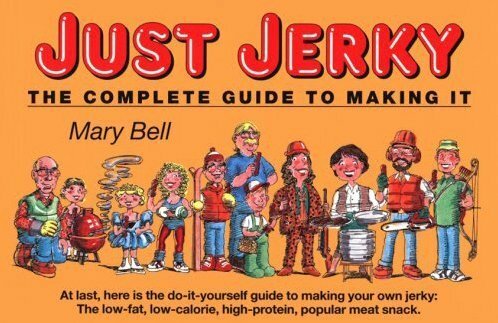 This book is all about the jerky. It also contains the recipes for smokers, dehydrators, and ovens. Moreover the meats, you will also find the recipes which use the soy protein. This cookbook is a DIY guide which helps you in making your jerky in a food dehydrator with the strips of ground beef, poultry, as well as of soy protein for the pure vegetarian jerky. It also benefits in learning the fundamentals of creating a simple teriyaki sauce along with numerous simple gourmet recipes. The nutritional info is also given in this cookbook. While going out on a camping trip, Just Jerky offers certain exceptional and cooking wonders to the busiest home-maker or chef. Every single recipe has a small sidebar along with a history of that particular recipe, or interrelated story. You will also get some good tips on the jerky preparation accompanied by the details of a given time and technique facts. The information given in the cookbook is complete, clear, easy-to-apply and practical. The recipes can be more detailed to understand. All additional info about the food is very comprehensive. The price of the book is also more as compared o the other similar books. If you wish to have an experience of making ﻿﻿﻿jerky or you are a newbie to preparing jerky, then this cookbook should be bought. The recipes stated in this book are simple, straight forward along with some useful tips and helpful assistance. We are sure that the jerky lovers will relish this book a lot after reading. 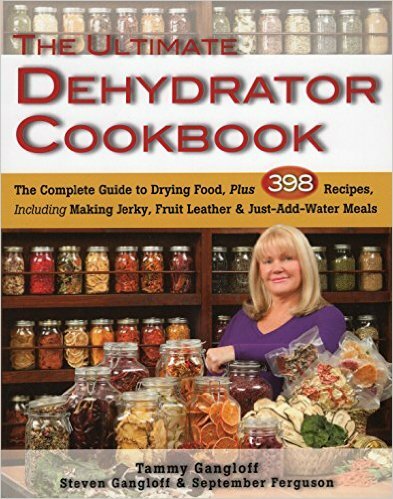 Famous author Deanna Delong wrote this food dehydrator cookbook. According to the author, when the food is dehydrated, a person is not only saving money, nutrients, energy but also the natural taste. This book states the step by step instructions related to the variety of food drying. The information related to the techniques and equipment is also up-to-date. There are more than hundred delicious recipes which comprise of the main course, starters to desserts. Besides this, the useful tables and charts also mentioned for more references. The author has also given some food safety tips in this book for the benefit of the reader. The author has also explained briefly about the different techniques which used for drying out the food. The pictures in the book also enhance the written text material. Moreover, numerous charts related to how foods should dry and how much your time will save while cooking in a particular way also provided in this book. It’s nice to see the comparison of different drying methods (i.e. oven, sunlight and air,) along with the recommendation of their best use rendering to the product details. 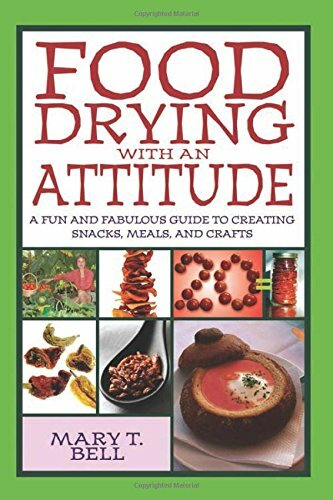 The suggested method in this dehydrator cookbook includes cooking food with dangerous chemicals and this process is also known as sulfurizing. So, adding sulphur in the food is not an excellent idea as related to the health. It is entirely a reference book. A very thorough guide that will take you from beginner to expert by the time you reach the end of the book. I appreciate that it`s well organized by ingredient and includes more updated recipes than what may be in the resource above – but this extra benefit can make finding core information (like temperatures) more difficult to find. A useful tool if you lack the confidence or want handed recipes that will yield reliable results. 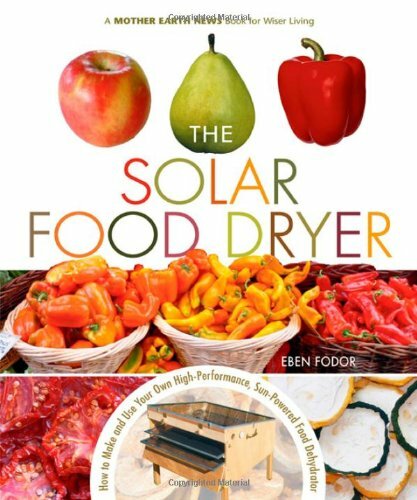 This fantastic dehydrator cookbook is written by Eben V. Fodor(organic gardener). It describes that how you can use the solar energy for drying out your food in place of the expensive electricity. With the help of the solar powered food dehydrator, it is very easy to cook your garden vegetables, herbs, and fruits for the preservation purposes. It is a comprehensive book which contains step-by-step plans for dehydrating foods. Besides this, the tips, resources, solar charts, references, and recipes also mentioned in this book. The author of this dehydrator cookbook has written very clearly and also handles the details quite well. You will find the low-cost and genuine ways in this cookbook which helps you in preserving the food naturally along with its original taste. The step-by-step guidelines and instructions are very easy to follow. The information given about the products and recipes are little less. It is an essential book based on the techniques of solar drying. 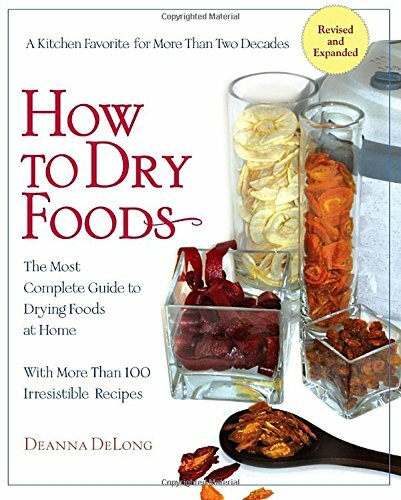 This book highly recommended for the people who are interested in drying out the food through convention methods and also want to save some money as well. This cookbook comprises of all the relevant information and data required by the new user of the technique. This is the last name in the list of top food dehydrator cookbook which is written by Michelle Keogh and Karielyn Tillman. It is a practical guide which helps in converting the fresh vegetables, fruits, meats, seeds, nuts, spices and herbs into a food store of nutritious miracles with an elongated shelf life. Besides this, there are practical step-by-step guidelines which certify that all the dehydrations are done perfectly along with some inventive flavor combinations. It benefits of drying out at home easily. The information related to the working of the food dehydrator in this book also shows that how can you prevent the growth of bacteria. There are notes given on food safety as well as retention of the color and flavor. The variables like drying time, humidity, fat, food thickness, and sugar content also explained in this cookbook. There is little bit less explanation about the recipes which must be more. The pictures are also not enough in this book. This cookbook takes the book lovers through the whole route of every single type of dehydrating wonderful recipes and helpful tips and hints. It is highly recommended if you want to make some easy recipes at your home without any other person’s help. After reviewing the entire above ten food dehydrator cookbooks, I just want to the emphasis on that dehydrating is one of the easy things to do as compare to the other kinds of food preservation. So, you do not have to run out and purchase a bunch of cookbooks. ​Sometimes, the cookbook which comes along with your food dehydrator is quite enough for you to get started. But still, for more assistance you can buy one of the above cookbooks for yourself and relish the yummy healthy dehydrated snacks at your place. Well, all the above books comprise of some exceptional features, tips, and guidelines which make your dehydration work easier.